Pizza Inn menu prices page. It was in 1958 when two brothers from Texas opened the very first Pizza Inn restaurant just in front of Southern Methodist University in Dallas. As the restaurant served excellent pizza fare, the news about Pizza Inn spread like wildfire. For decades pizza lovers continued to patronize the unique taste of the restaurant’s thin and crispy crusted pizza, cooked with specially formulated sauce – features that made Pizza Inn the exceptional food brand that it is today. Below are the latest Pizza Inn menu prices. Become a Pizza Innthusiast and get VIP access to the best deals at the Pizza Inn. Guests can also join the Pizza Reward and collect points for every visit. Perks include exclusive offers, free reward upon signing up, and a reward after each 9th visit. Whether you want pizza, salad, sandwiches, or desserts, only the best is served at Pizza Inn. Easily making it popular is the low prices of the menu items. For instance, for a mere $13.99, you can order Bacon Cheddar Ham, a delicious choice that you and your family can chomp on. You can even order one from scratch, and choose to have it with simple cheeses and sauce or load the crust with various meat toppings such as bacon, ham, and your choices of sauce and cheese. Also, Pizza Inn offers food items at discounted prices on a limited time basis. For instance, popular is a large 2-topping pizza that can be ordered online using a corresponding coupon for only $10.99. Put simply, Pizza Inn is proud of its many years of consistently offering food freshness, while ensuring exciting innovation in its menu. If only for its industry achievements, Pizza Inn was given the title Number 1 Pizza Chain in the United States by the Restaurants & Institutions magazine’s yearly “America’s Choice in Chains” consumers’ poll. 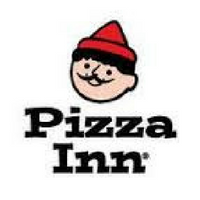 For more information about Pizza Inn, visit their official website.